AWP is in Tampa this week, I’m going, mainly because I was able to weasel a free ticket for myself, but I’ve never been a fan of this sort of thing. Events like this are concentrated versions of everything I dislike about writing. I’ve never cared much for it. At my last AWP, I ended up spending most of the time drinking rum in a bathtub and exploring Downtown Chicago, and since I quit drinking, I’ve developed an especially violent allergy to anything that has that self-congratulatory ‘look how brilliant and literary we are!’ air to it. My plan is to do some shopping at the book fair, catch a few readings, and see some friends I haven’t seen in a while. Consider this your guide to getting the hell out of the conference for a while, to wandering off from the prescribed tour to see what else can be seen. Tampa’s Downtown hotel/convention center complex is very insular, it seems designed to allow someone to come in, do what they need to do, and leave, without ever having to interact with most of the actual city. Other than the view of the Bay and a few Floridian design choices, you could be anywhere in the world. Fortunately, it’s not that hard to get out of it. Ybor is easy to get to, streetcars run from downtown to Ybor frequently, and you’ll find a warren of bars, coffee shops, restaurants and more. In the daylight it’s a pleasant, walkable, neighborhood with readily available pizza slices and Cuban sandwiches, at night it's a beautifully mad, never-ending party. Ybor is the historic heart of the city, the core of the old shipping and cigar industries that built Tampa, and a place with a lot of beautiful stories. It’s also the center of Tampa’s literary significance. The cigar factories of Ybor regularly employed Lectors whose job was to read out loud to workers during the day. Many of these Lectors were also writers, poets, playwrights, and songwriters, and their works were often published in local newspapers or by small presses associated with immigrant social clubs. Notable among them is the activist and essayist Luisa Capetillo. Captetillo is a fascinating figure, whose writings from a century ago, on subjects like freedom of gender expression and relationship structures, would be considered progressive by today’s standards. In the 80’s and 90’s, Ybor was reborn as an artists colony and as the center of Tampa’s LGBTQ community. Today it’s the center of tampa’s nightlife and, unfortunately, a fashionable address for new development. In spite of the coming condo-pocolypse, Ybor still has a deep legacy of being tolerant and inclusive, and it’s an excellent place to get a seat, get a drink, have a cigar, and spend a day away from AWP, or to go out dancing for a night. The Convention center is attached to the Tampa Riverwalk, which is nice, even though I feel like it looks like something from a city of the future from a movie made in the ‘80’s. It will take you North, through the main section of Downtown, terminating at Waterworks park in Tampa Heights. It’s a good spot for an early morning or sunset walk, and is generally safe and populated all day and night. It will also take you by Kiley Garden, what locals affectionately call Trip Park because it was the preferred place to use that cheap LSD that was everywhere in Florida in the '90’s. Today, Kiley Garden is traditionally populated with stoned youths (marijuana is decriminalized in the city, though it’s still best to be discrete). Downtown Tampa is home to The Hub, one of the world’s greatest dive bars. It’s a beautiful, gross, smoky mess of a bar that pours giant liquor drinks. It’s cheap, cash only, opens early, closes late, features frequent live music, and a legendary jukebox (if it’s working). Bring cash, and never have the third drink, and never be there when the lights come on at the end of the night. Right next door is the Tampa Theatre, a beautiful jewel-box 1920’s movie palace, it’s one of my favorite places on earth, and a beautiful place to see a film, any film, it doesn’t matter what. It’s just a great place. Tampa Heights, West Tampa, and Seminole Heights are within biking or cheap cab ride distance of Downtown. The Heights are Tampa’s first historic suburbs, but in recent years they’ve become the center of Tampa’s growing food and drink scene. AWP happens to correspond with Tampa Bay Beer Week, so if you’re so inclined, the many bars and breweries in The Heights will be celebrating, it’s also where you’ll find some ‘foodie’ type restaurants and general hipster-ness. West Tampa is the current home of most of Tampa’s Hispanic community and heading West on Columbus Avenue will bring you by a world-class collection of inexpensive and amazing food. The Cuban diners of West Tampa are rightfully legendary as places you can get a great meal and a life-changing cup of coffee, all for under ten bucks. If you can somehow wrangle a vehicle, you can get out to some of the glorious natural wonders that surround the city. Lettuce Lake Park is on the North end of town, near USF, and it’s the quickest and easiest way to get into a real Florida wetland. It’s great for birding (what is it with writers and birds? 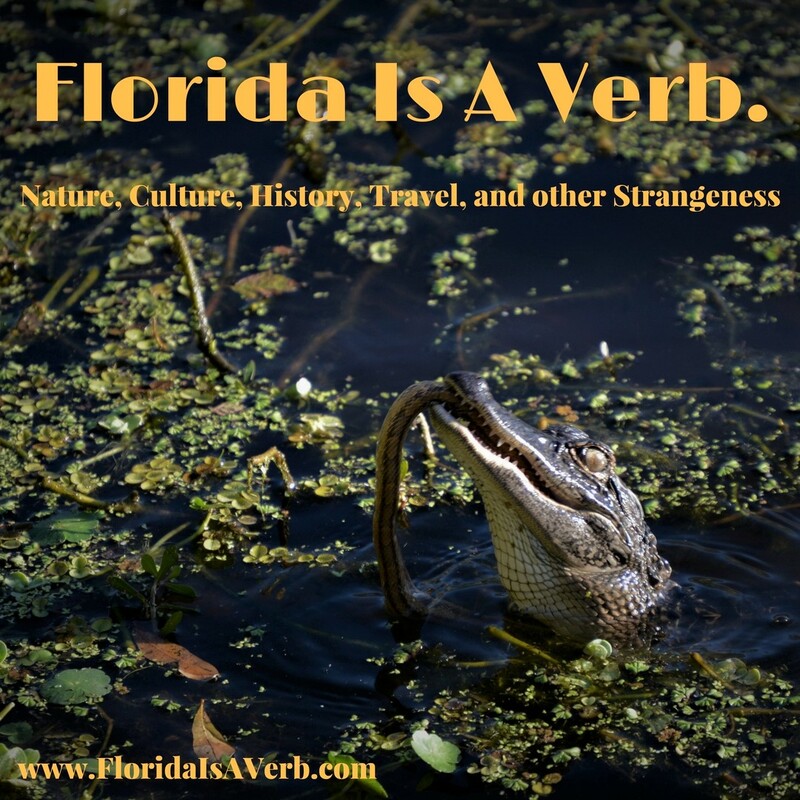 ), for seeing gators in the wild, and for just getting out of the city without having to go too far. And finally, if you must go to a beach, go to the best beach. While there are a few small local beaches, some of which (like Cypress Point) can be reached by bus, they’re not exactly good representations of the area’s beaches. If you’re going to go, go all out, and find a way to get to Fort DeSoto. It's about 30 minutes out of the city, on the other side of the bay, but it's worth it. DeSoto is one of the longest patches of undeveloped coastline in Florida, and it’s a glorious place to bike, swim, read, write, camp, or lie around and do nothing.